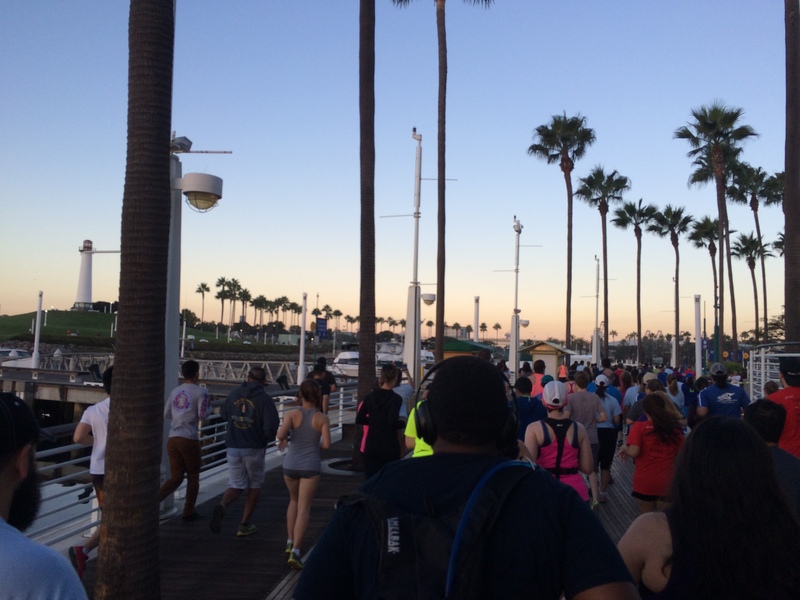 This past Saturday, I got to run in the Aquarium of the Pacific 5K as part of the Jet Blue Long Beach Marathon/Half Marathon Weekend. I’ve run he 5K race as part of this weekend 3 years ago and had a blast. 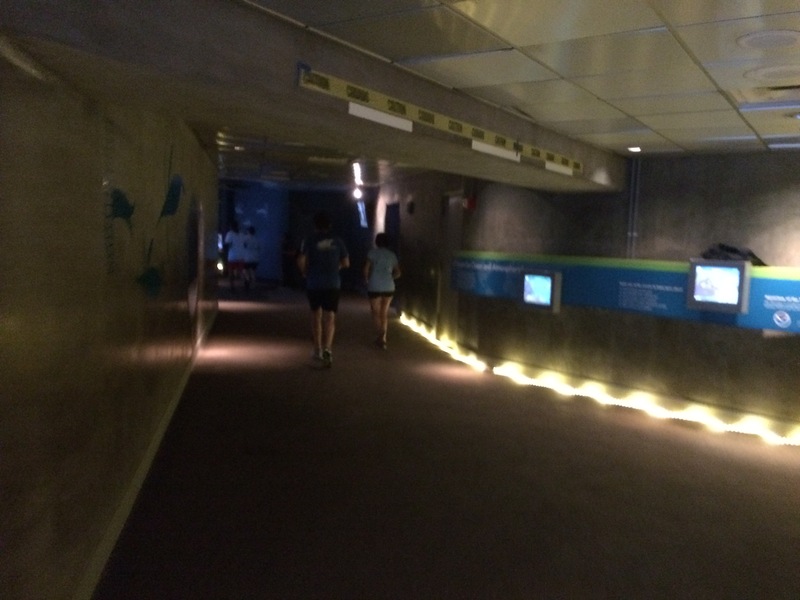 However, last year, they started running the race through the Aquarium of the Pacific. 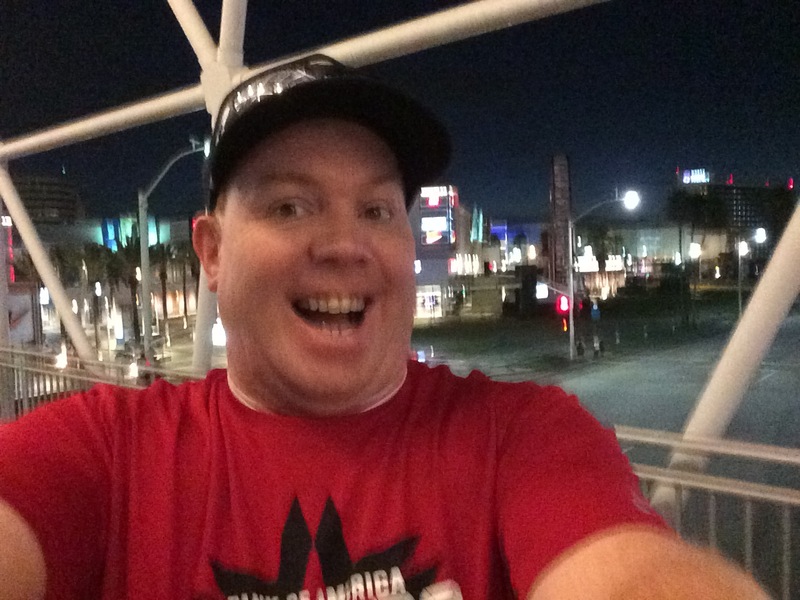 Since I was running the Bank of America Chicago Marathon that weekend, I couldn’t run. 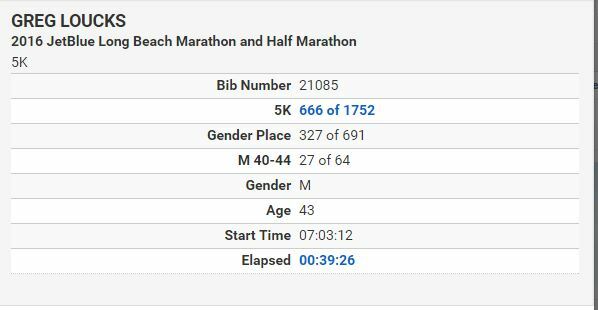 So, I thought it would so much fun to check this race out this year. I’m so glad that I did! One really nice thing about this race is that they offer packet pick up on race day. So, I didn’t have to take time off from work on Friday to head down to Long Beach. Instead, I made sure to arrive at 5:30am to avoid any stress over lines. 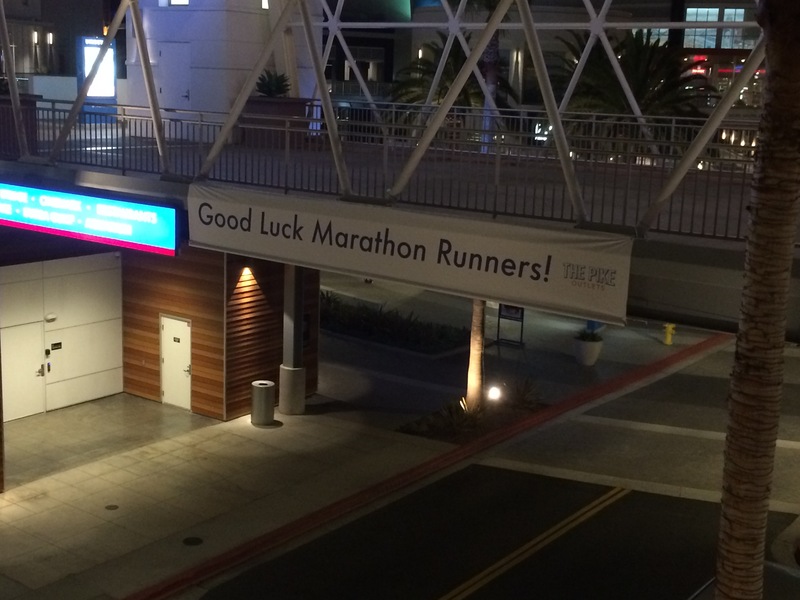 As I left the parking structure, I saw this sign wishing us runners good luck! There’s a cool bridge that took me over the street so I didn’t have to cross with the traffic light. 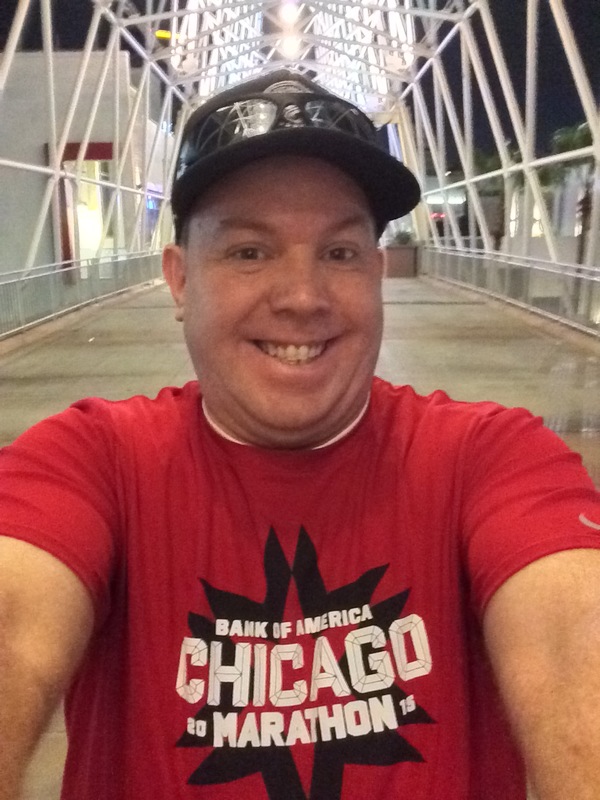 With the Chicago Marathon happening over the weekend, I decided to represent the Chicago Marathon at this 5K. On my way over to the starting area, I ran into Rudy Novtny! 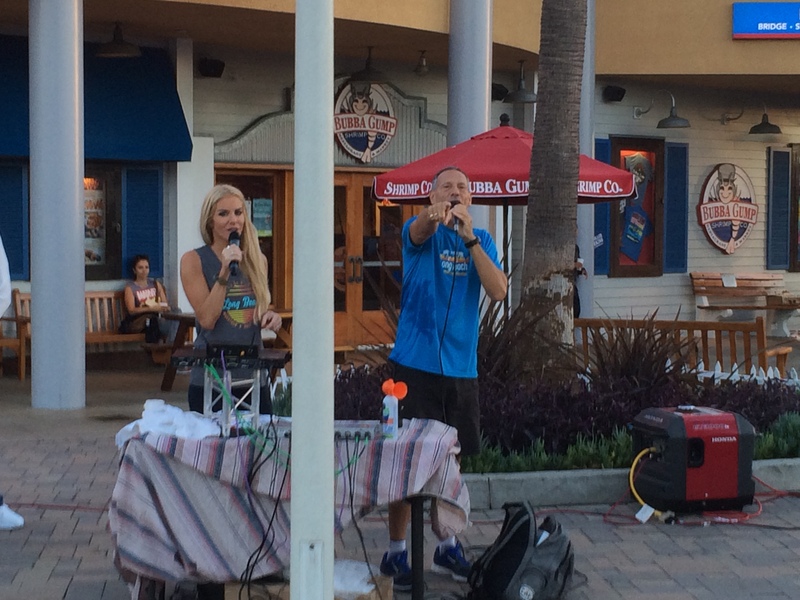 One thing that’s awesome about living in Southern California is that Rudy is the Race MC for so many of our races. We chatted a bit. 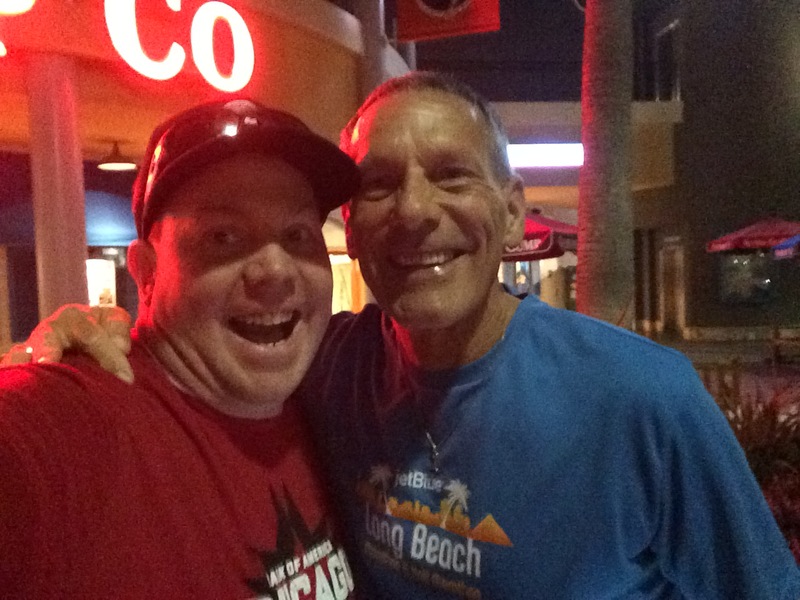 I told him how much we runDisney runners missed him at the Disneyland Half Marathon Weekend. 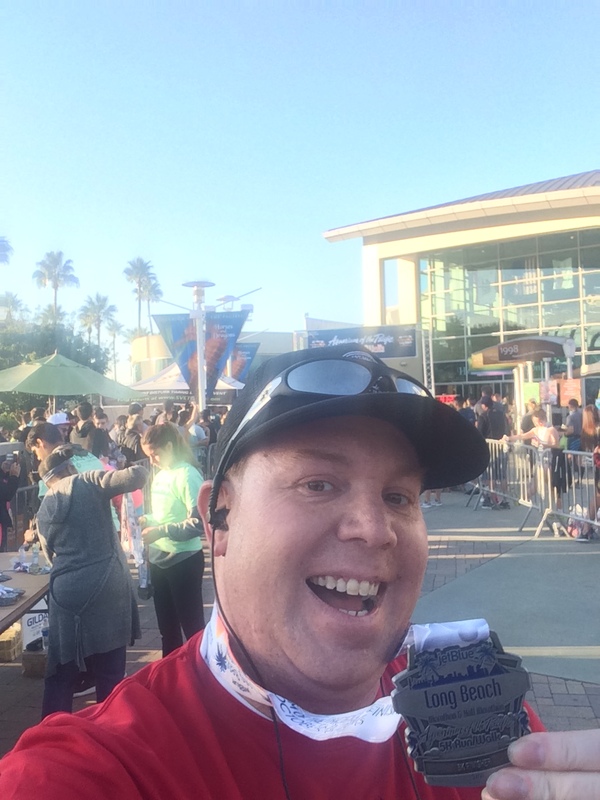 Even he was surprised with the lack of energy at the start of the races for the Disneyland Half Marathon Weekend on videos he saw. 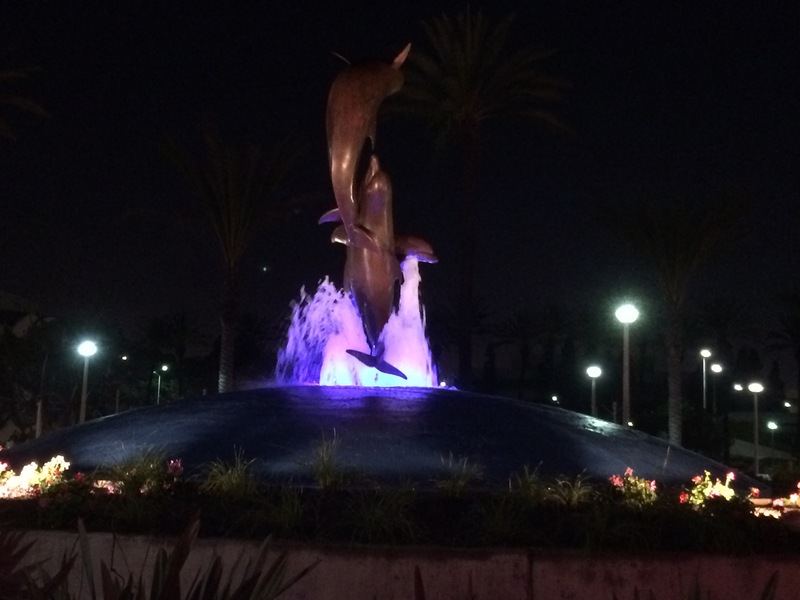 Loved the fountain outside of the Aquarium of the Pacific! The marina area was so peaceful this early in the morning. As I walked around, I ran into some of my We Run Social peeps! 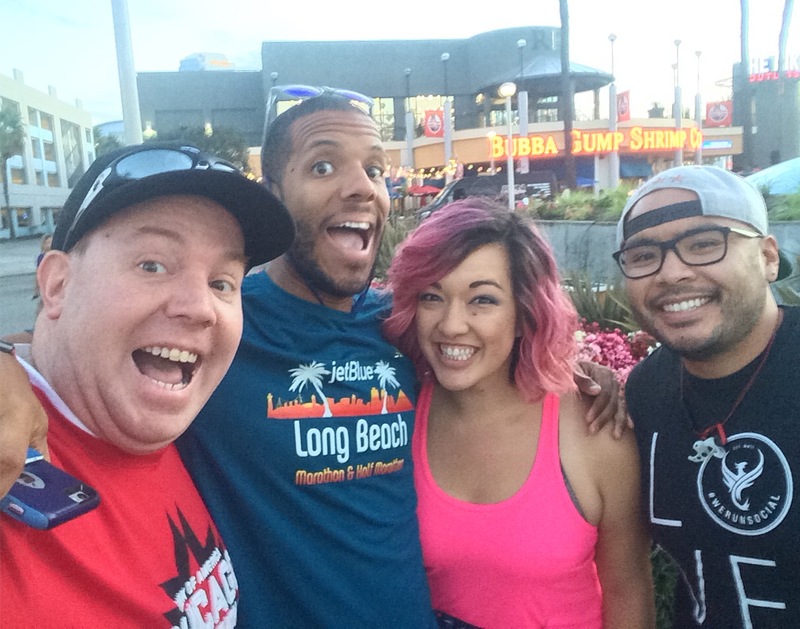 So, we had an impromptu We Run Social Meet Up. 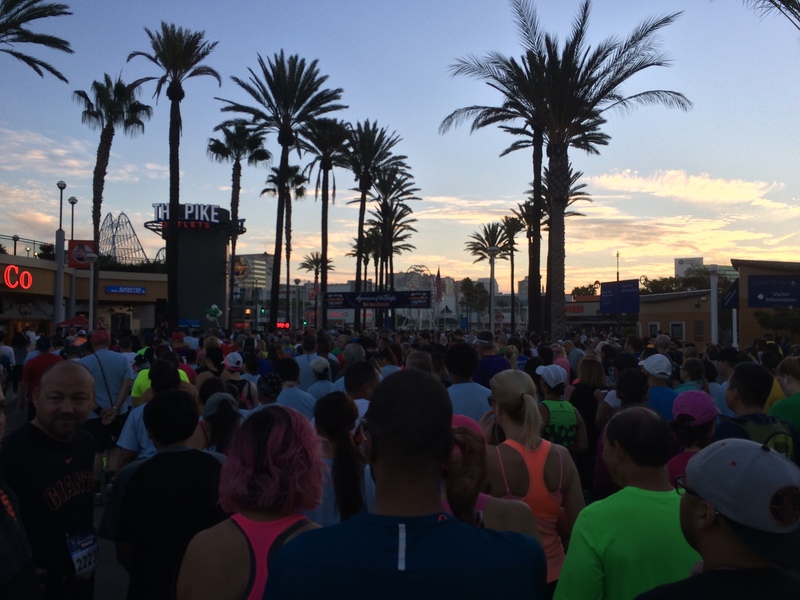 Before I knew it, the time had come to get into the starting corrals. Although, this race didn’t have any corrals whatsoever. It was one mass start. As I approached the start, I got a nice shout out from Rudy! 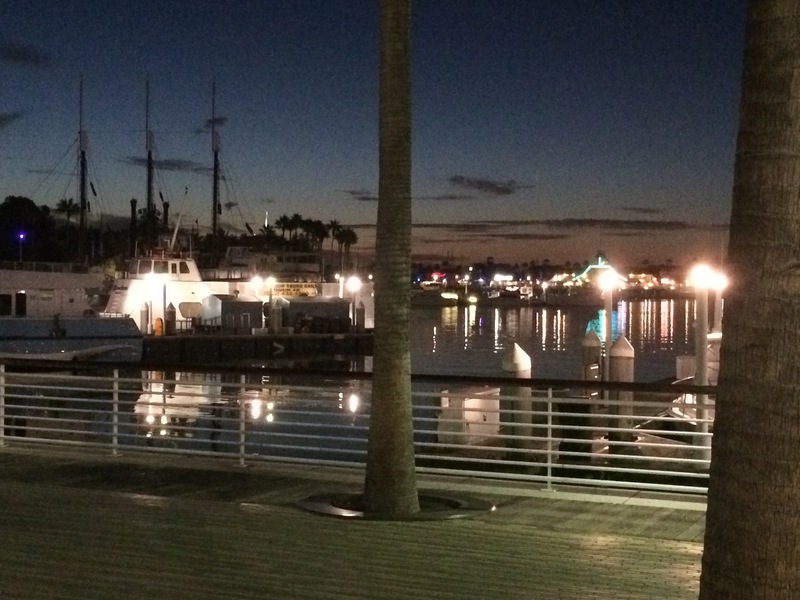 I absolutely love the marina area of Long Beach! The half marathon would run this same ground going the opposite way the next day. My plan was simple for this race. 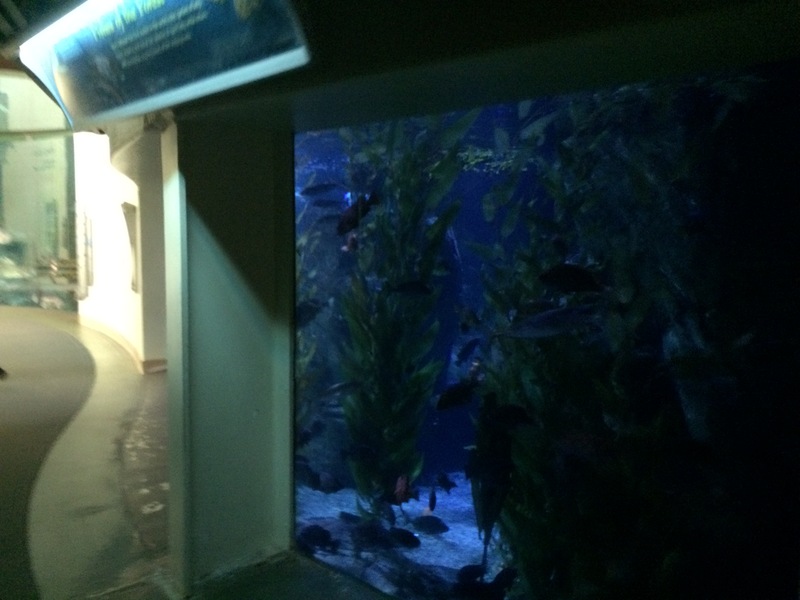 Run 15-20 seconds, walk 40 – 45 seconds until I got to the end through the Aquarium of the Pacific. Then, I would stop for some photos. The course was sort of crowded at the start. Although, I’ve been in worse. 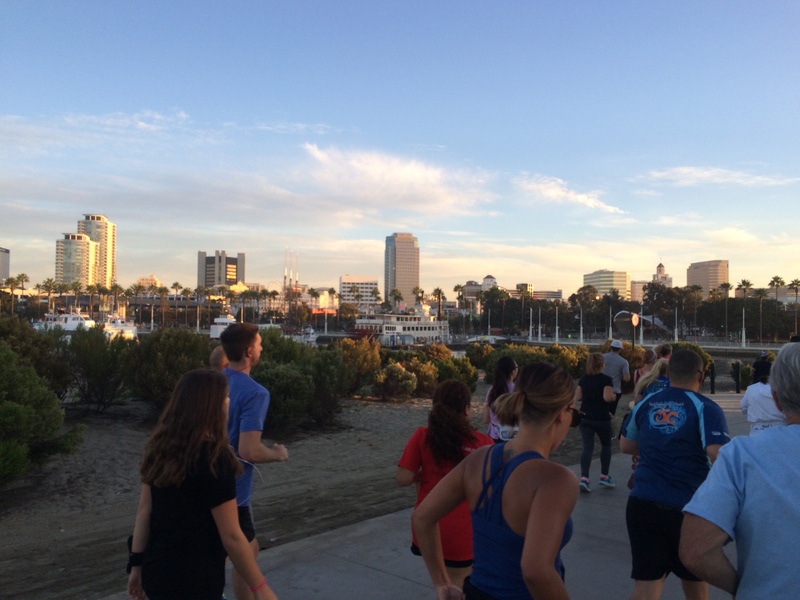 More awesome views of Long Beach! We made our way around the lighthouse. 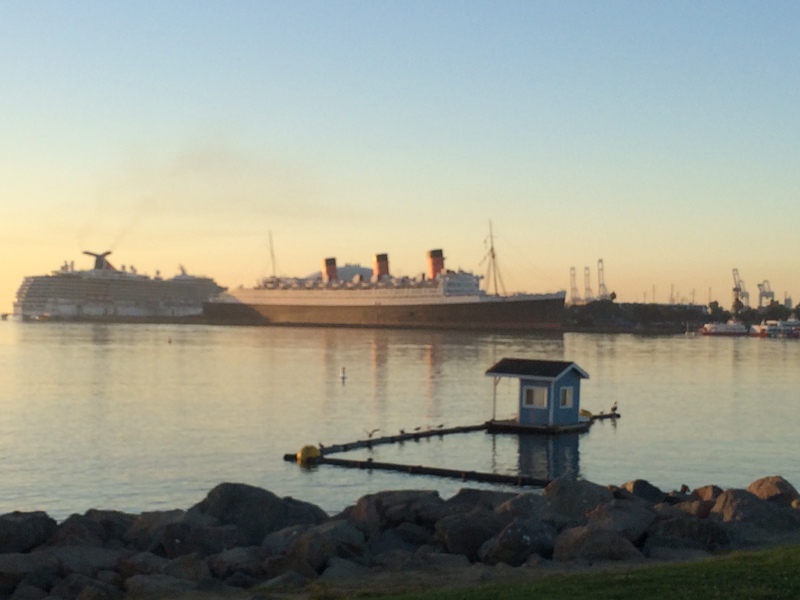 That brought us to a great spot for a selife with the Queen Mary! Yes! It was turning out to be a pretty great day! Mile 1 featured a lot of inconsistent run/walk intervals. I had a few 1 minute run intervals along the way. I kind of went with what the course was giving me. 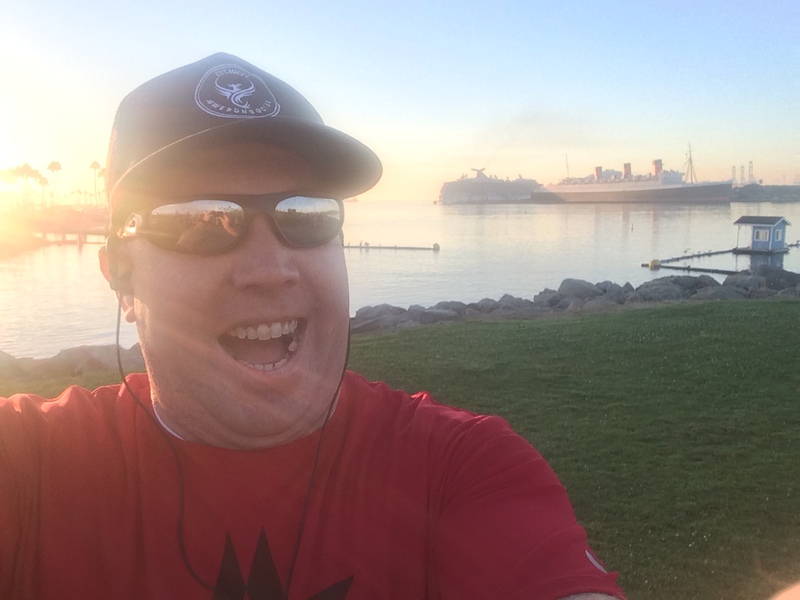 I felt great during mile 1! According to the Garmin, I finished in 11:45. However, I crossed the 1 mile marker around 11:30. So, the timing wasn’t too far off. With races, you just never know. Mile 2 was the hardest mile of the course. We’d run up and over a rather long bridge. I kept telling myself that it wouldn’t go on forever. So, I kept to the intervals. 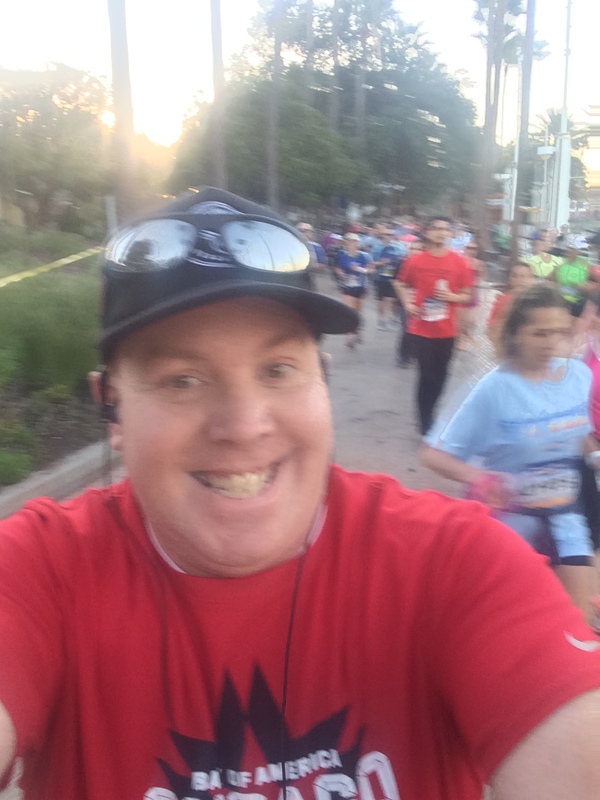 In mile 2, I was running more consistent intervals. By this point…especially over the bridge, the crowd started thinning out. This was an out and back kind of course. So, I got to see some of my speedier friends heading back while I was going to the turnaround. Here’s Linzie heading back. Fortunately, he passed while I was on a walk break. My friend Ivie passed while I was on a run interval. So, I didn’t get a picture of her. Oh well. The bridge was more difficult. Inclines are. I told myself that inclines are supposed to be hard and powered through each run interval as they came. The mile 2 marker felt misplaced. I passed it at around 23:30. The Garmin had me crossing the end of mile 2 at 24:05. Either way, I was happy with how the first two miles turned out! We turned around at around 2.25 miles (on the Garmin). It was at the end of a decline. So, the start of mile 3 involved going up again. It wasn’t as bad as mile 2, though. On the way down the bridge, I made sure not to overdo it too much. I needed to skip one run interval to catch my breath in this mile. However, I ran each and every interval as they came otherwise. The mile 3 marker seemed to take forever to get to. I crossed the end of mile 3 at 36:35 on the Garmin. However, I crossed the 3 mile marker at around 37:30. It was weird. 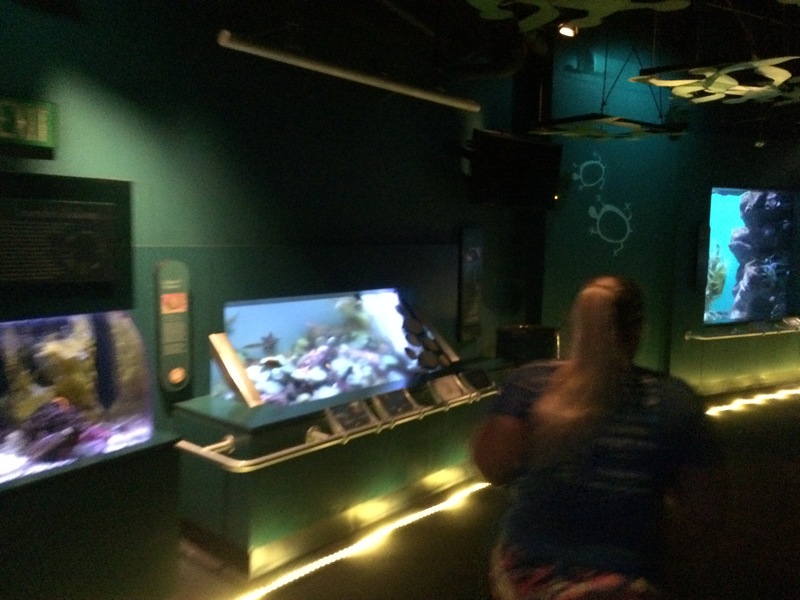 We must have gone 0.05 miles after the 3 mile marker before we entered the Aquarium of the Pacific! This is where my run/walk intervals went away. 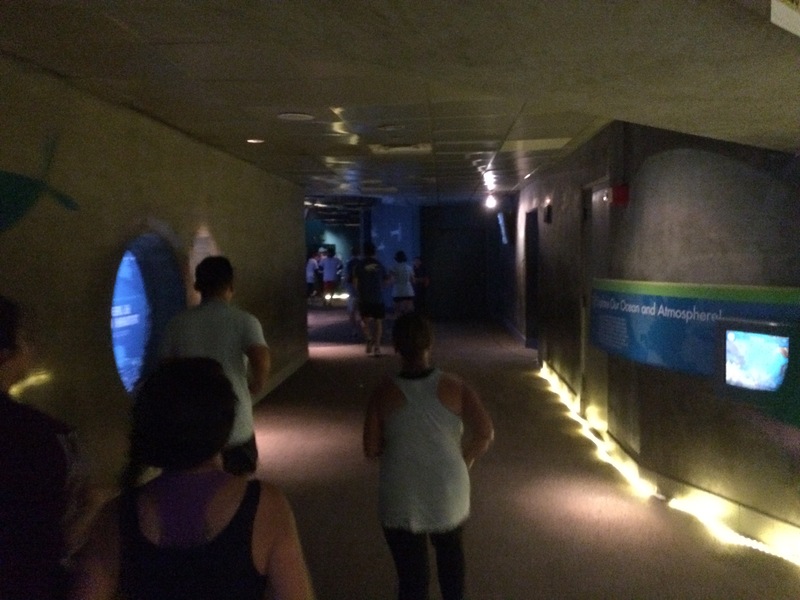 I signed up for this race to have fun running (or walking) through the Aquarium. And to take lots of pictures. As you can see, I wasn’t alone! 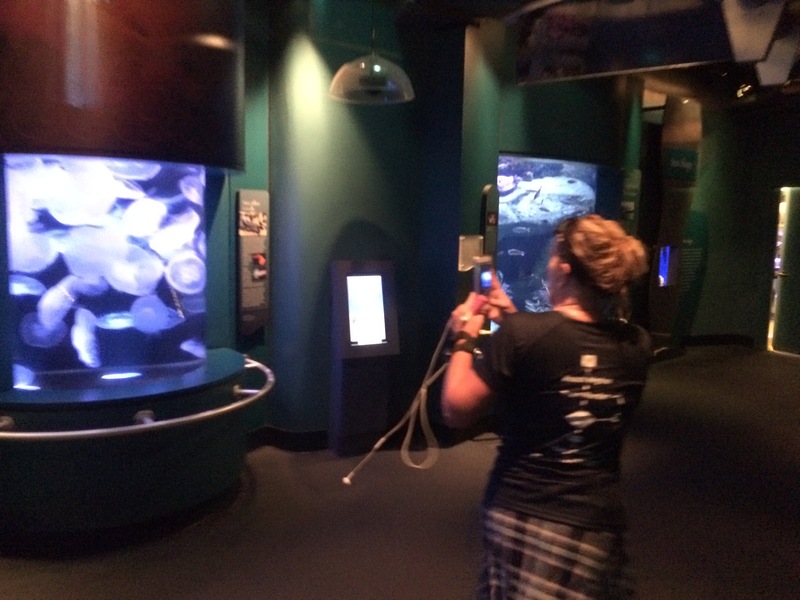 Going through the Aquarium was tons of fun! 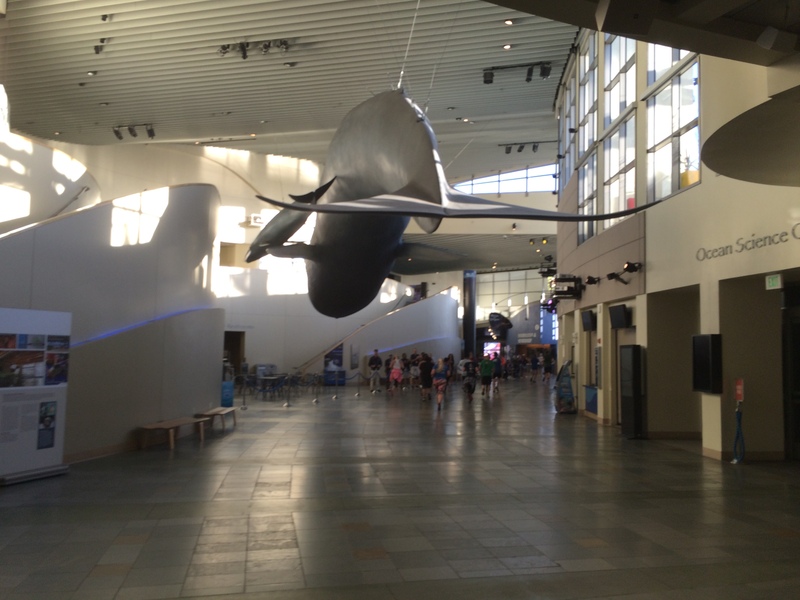 Okay…how many times do you get to run under a whale? Not many. I loved this portion of the race so much. It killed my finish time. However, this race wasn’t about getting a stellar finish time. 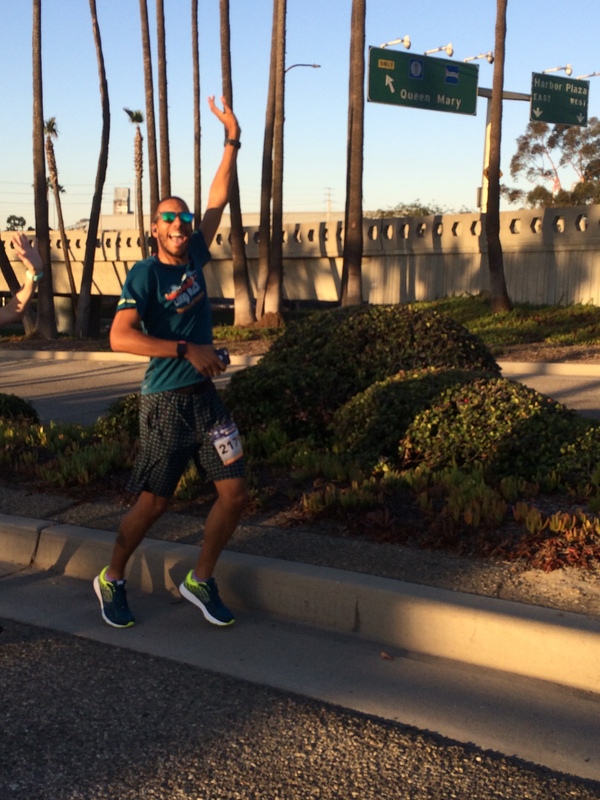 Right outside of the Aquarium of the Pacific was the finish line. Rudy gave me another awesome shout out at the finish! Just like that… I was finished. This is the official finish time and information. 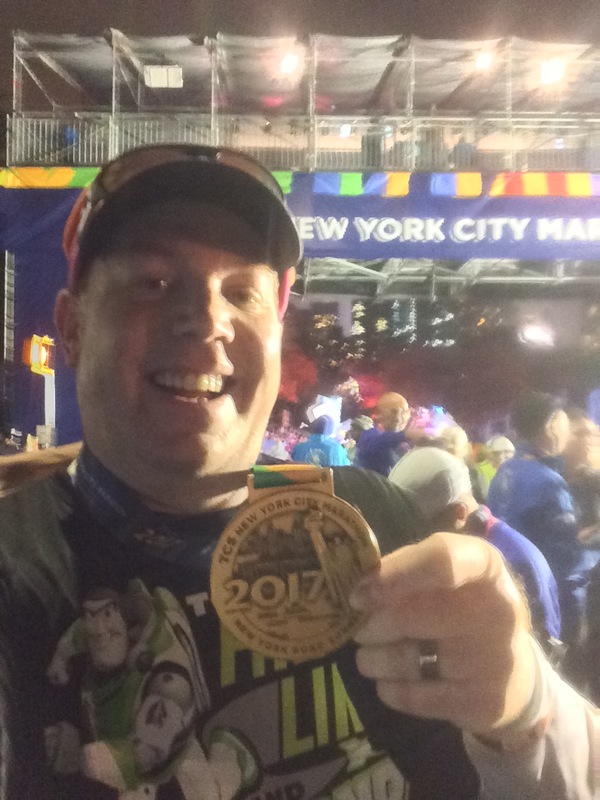 I finished in 39:26. I’ve had worse finishes and better ones. If I didn’t stop for those photos in the Aquarium, it would have been faster. However, that wasn’t the goal of this race. I signed up for this one to have fun. And, boy did I have fun! If you’re in the area, I highly recommend this race! 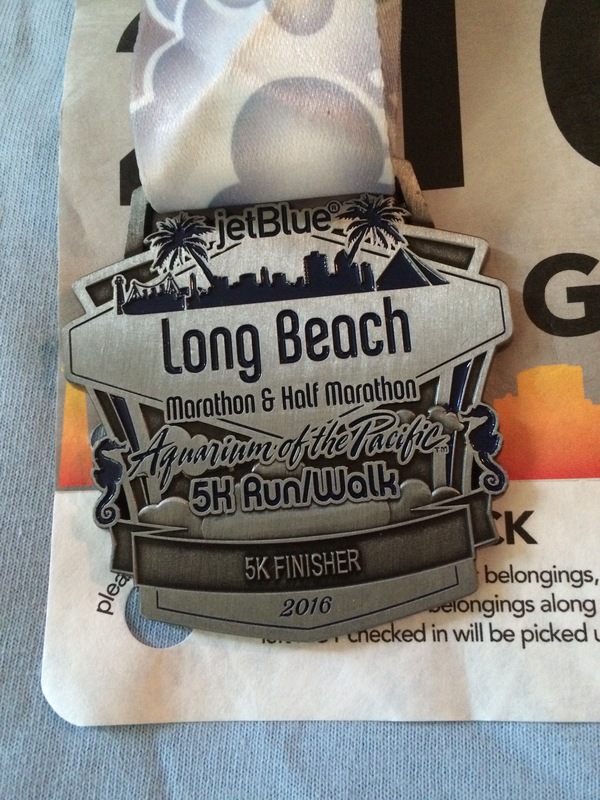 Plus, the finisher medal is pretty cool. Don’t you think? That looks awesome! I would love to do it next year. I am having surgery in November so I won’t be running until probably June of next year 😦 I didn’t realize it would be this difficult to accept. So, I am living vicariously through you, Carlee and Patty. The race was awesome! You should totally do it next year! Sorry to hear about your surgery. I am sending prayers for a successful surgery and a speedy recovery. I live vicariously through Carlee as well. I’m so happy for her to have run a Boston Marathon Qualifying time a few weeks ago! She so deserves it! It was! You should run it next year!